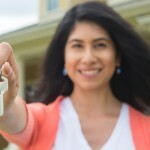 This month the National Association of Hispanic Real Estate Professionals (NAHREP) released their annual State of Hispanic Homeownership Report for 2013. A 35 page report designed to highlight “the homeownership growth and household formation rates of Hispanics as well as their educational achievements, entrepreneurial endeavors, labor force profile, and purchasing power in the United States”. 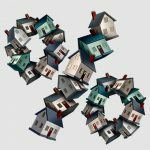 Since 2010, Hispanics have accounted for a net increase of 559,000 owner households, representing 56 percent of the total net growth of owner households in the U.S. The number of Hispanic households has grown from 9.2 million in 2000 to 14.7 million in 2013, an increase of 5.5 million, representing a growth rate of 60 percent. Four out of 10 new households between 2010 and 2020 are expected to be Hispanic. By the end of the decade, Hispanics alone will account for approximately five million net new households, out of an estimated 12 to 14 million net new households in the country. The median age of the Hispanic population is 27 years old, which is ten years younger than the median age of the overall U.S. population. Hispanics are heavily represented in the 26 to 46 year age range. A Hispanic youth turns 18 every minute of every day. Hispanics with incomes between $50,000 and $100,000 represent 29 percent of all Hispanic households and comprise nearly 40 percent of Hispanic purchasing power. Three out of every four prosperous Hispanics are under the age of 45 and own a home. Twenty-two percent of all Hispanic households earn more than $75,000 annually. The number of Hispanic-owned businesses in the U.S. nearly doubled from more than a decade ago, growing from 1.7 million in 2002 to an estimated 3.2 million in 2013. Latina entrepreneurs are launching businesses at a rate SIX TIMES the national average. Hispanic businesses contribute in excess of $465 billion to the nation’s economy annually and employ more than two million workers. Latinos now own one out of every 20 businesses in the U.S., while Latinas own 10 percent of all women-owned businesses. 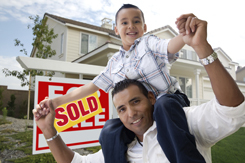 The Hispanic community is becoming a major player in the housing market. ¿Qué están los expertos diciendo acerca de las tasas de interes?